Having a Pilates studio has been a wonderful aspect of my life. Mainly because I have been able to see my wife Deb bring her gift of Being and Feeling Fit while teaching fitness to many wonderful people these last 10 years! Some (including Deb) would say she is living the dream. A lot of pressure and long hours goes with the dream though. Mainly because she cares about doing a fabulous job! Rapid turnaround to customers, diverse/fulfilling classes, quality products at great prices and the highest level of training and continuing education so that she continues to improve. With that comes a lot of stress and the need for her own “treatments”. So our hobby became going to different spas, getting massages and exploring wellness activities around town on our common off hours and even vacations. While Deb has pursued teaching fitness, I have had a wonderful career in Pharmaceuticals. Working these last 28 years researching, developing, making and launching many new products into global markets. As a Project Leader, I have learned a ton in the process from MD’s, Clinical Scientists, Analytical and Formulation Scientists, Pharmaco-Kineticists, Immunologists, Manufacturing Directors, Planners, and of course the Marketing and Customer Perspectives. I have also worked across many therapeutic categories and gained specific experience in those areas through the product development process; CNS and products for Depression and Insomnia, Musculoskeletal and products for Autoimmune deficiencies and Inflammation, Women’s Health and products for Hormone Replacement and Oral Contraception, Cardiovascular and products for High blood pressure and Stroke and finally Vaccines and Infectious Disease. All of this has left me with a very broad view of the industry and a type of expertise that is profound but pragmatic. There are many good aspects to the Pharmaceutical industry and there is a tremendous amount of good science that goes into all of the therapies developed. I would have to say vaccines are at the top and the new wave of biological medicines are a very close second. Literally solving age old diseases like some cancers and autoimmune disorders once and for all! What troubles me though are the side effects. Not One of these products can be taken without the expectation of some sort of collateral damage, most of which is unknown prior to launch as they’ve only been studied in smaller and targeted populations. So one cannot ever expect to be truly well as they are usually causing a new problem to be treated, by a different Pharmaceutical product. In my downtime, we work out on many different fitness systems, study wellness and the multitude of approaches across cultures. Let me just say, the United States does not have the highest quality of health care, greatest longevity in lifespan nor quality of life as Obesity, Depression and Chronic Disease statistics expand today. In the last several years, we have (finally) seen a movement in our mindset from sick care to a mindset of self-care and preventative care being more in vogue. With that, some new technologies being used in other countries and regions of the world have found their way into the United States…Like Cryotherapy from Japan and PEMF from Russia and Eastern Europe. Light therapies from Greece are a little fresher but many doctors and scientist have documented the healing powers of the Sun and have prescribed its use for ages. The new Light Therapies strip out the bad and only deliver the good, making it a Super Human tool that can trigger remarkable processes in bodies. Why? Because they help our bodies do what they were designed to do. Our bodies, through our immune system, can literally “fight off” most of the diseases we are faced with if healthy enough to do so. Today, however we are also faced with deteriorating food systems, poor and polluted air quality, harmful toxins in our drinking water, make up, and cleaners all around us. Finally the advent of processed/fast foods which dominate so many peoples diets is literally adding more pollutants and stress to our systems with the fake ingredients, while simultaneously robbing us from required nutrition. We slam synthetic vitamins into our system thinking we are helping when our bodies do not recognize synthetics either. Each and everyone of these factors along with our stressful lifestyles, strains and stresses our bodies so that they cannot possibly fight off disease any longer or as effectively if they were not exposed to all of these factors. The Lemon Light Lounge has 4 basic therapies that can be applied pre or post work out to enable maximum results, eliminate the root cause for most diseases and enhance life. The root cause of almost all disease (85%) is the Oxidative Stress our cells & bodies face when encountering the toxins. The equipment included in the Infinity Health Protocol is there to address Oxidative Stress and thus detoxify, repair and replace what your bodies need to be their best. Whether it is to recover from a hard workout, remove toxins you may have been exposed to chronically over the years or just build up your energy & immunity to empower your body to fend off the Could & Flu season. There are so many other Cardiovascular, Mental and Physical benefits I cannot list. I have provided a link to the more than 4,000 clinical studies completed that demonstrate efficacy. 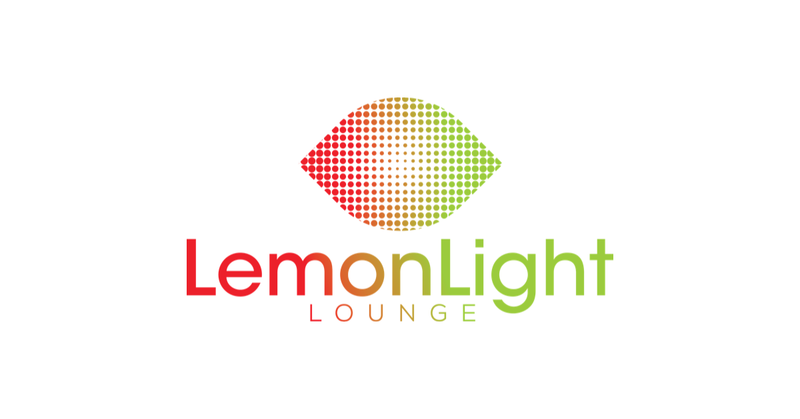 Whether you fear Alzheimer’s, suffer from High Blood pressure, need to relieve stress from your body on those busy weeks or you just want to enhance your workout with a pre or post workout session; the Lemon Light Lounge is here for you to prevent, renew and empower your bodies, so that you Look, Think, Feel and Perform better than ever before. Welcome to the Lemon Light Lounge. We look forward to meeting you and helping you achieve your goals. Welcome to the Lemon Light Lounge! We look forward to meeting you, hearing your story and helping you achieve your goals. Even if it is just the X-Factor, giving your body a reservoir of wellness so that you are living your very best life! Don’t miss out on this one of a kind opportunity!